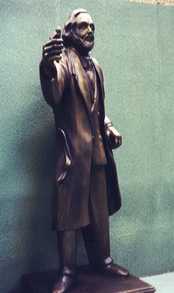 Sliders was a fun challenging series. 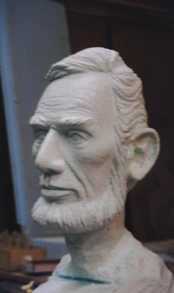 Lots of Wacky set pieces and sculptures. 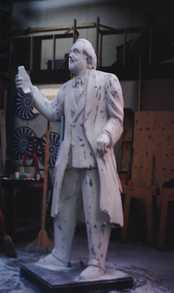 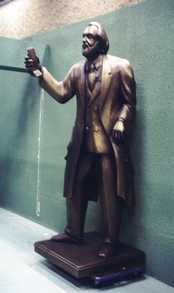 The figure was directly carved in polystyrene finished in bronze and was a portrait of Mr. Rice-Davies the series male-lead. 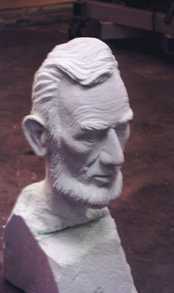 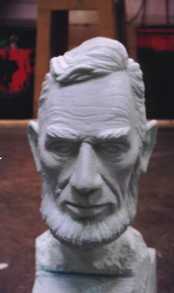 The bust of Abraham Lincoln was also directly carved in poly styrene finished as bronze and fitted to another statue body and base previously created for another episode.